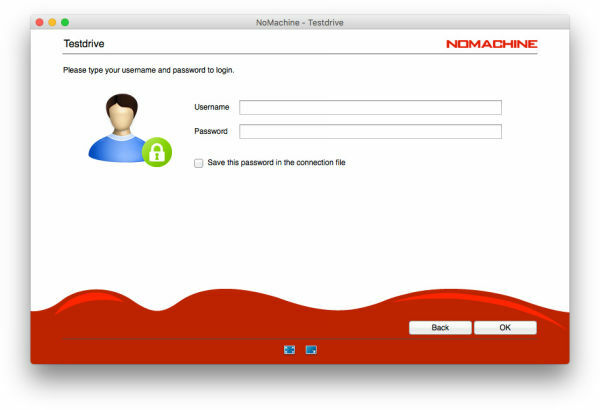 NoMachine for the Enterprise offers a range of Terminal Server products which provide access to virtual Linux desktops and applications on a single server. This is called running a "virtual desktop session". 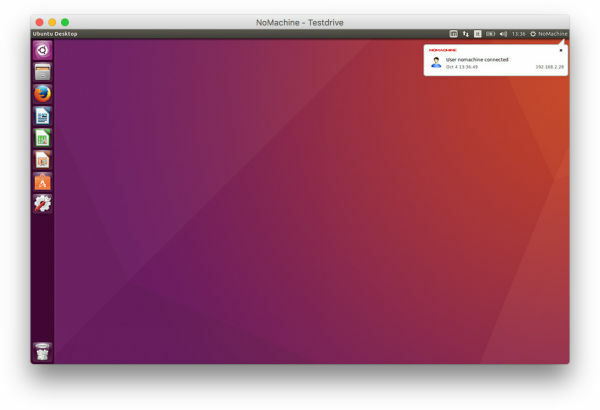 When running a virtual desktop session, you are connecting to your own personal Linux desktop, or connecting as a guest to another user's Linux desktop running on the same host. Install Workstation or other Terminal Server product on the remote host you want to connect to (the server). Make sure you have a system account on the remote host. You will use these account credentials for authenticating. Install NoMachine or Enterprise Client on the devices you want to connect from (clients). Once installed on the host you want to connect to, NoMachine server will work out-of-the-box with no special configuration required. There are two ways to connect to this Linux host: over the internet or over a local network. 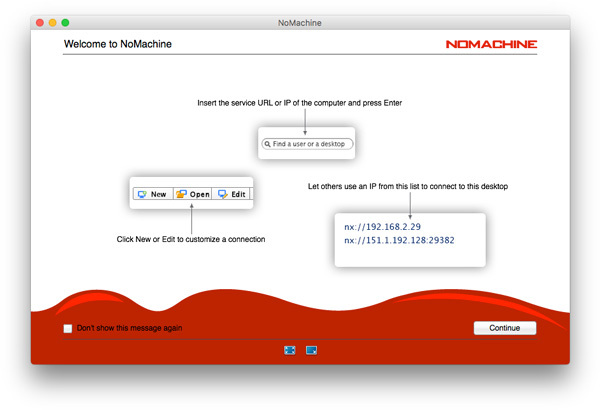 All NoMachine servers are advertized to NoMachine clients when both are on the same network. If this fits your scenario, now go to the device you want to connect from. Your administrator should provide you with the hostname or IP address of the server you want to access. If you are responsible for the server, you can check its public IP address once you've installed the NoMachine server product. Open NoMachine from the Programs/Applications menu. In the first Welcome panel, the external IP address will be published (Fig. 1). TIP: To disable the introductory 'Welcome' panels in future, check the box "Don't show this message again". If you do, to check the IP of the host you want to connect to in the future, you can click on the !M icon in the system tray of that server host and select ‘Show the service status’. 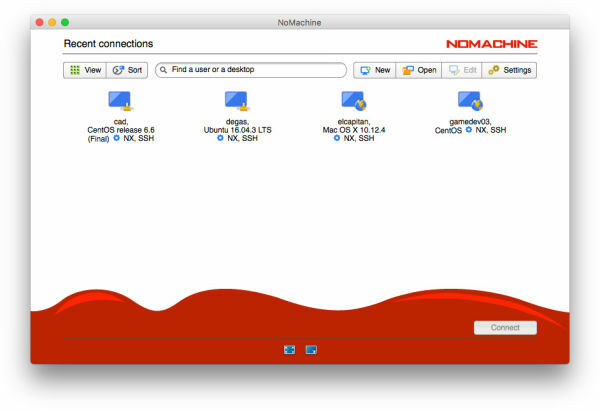 Make sure you are sitting at the computer you want to connect from and have installed NoMachine for your OS or the Enterprise Client package. Open NoMachine from the Programs/Applications menu. Click 'Continue' to go past the Welcome panel in Fig. 1. The next panel will present you with a choice: 'Click here to create a connection' or 'New' both offer a guided approach (Fig. 2). To configure the connection, you will need to know the IP address (or hostname) of the host you want to access. All NoMachine-enabled computers on the same network are advertized here. If you have used NoMachine in the past, any connections you created will also be listed in the 'Recent connections' panel (Fig. 3). If your Linux host is in the list, double click on the icon and proceed to Step 2. Alternatively, you can insert its IP address (and port if you are using a public IP address) e.g., 151.1.192.128:29382. Hit Enter on the keyboard and wait a few seconds while NoMachine finds your computer. TIP: If you want to be guided through creating a new connection, click on 'New'. You will be prompted to log in using the credentials for your account on the remote host (Fig. 4). Click OK and wait a few seconds while NoMachine connects you. Once you have authenticated, any available desktops will be displayed here (Fig. 5). They can be your desktops previously left running, or those belonging to other users if desktop sharing is enabled. Double-click on an option. If your list is empty or you want to create a new session, select 'New desktop' or the link 'New virtual desktop or custom session'. 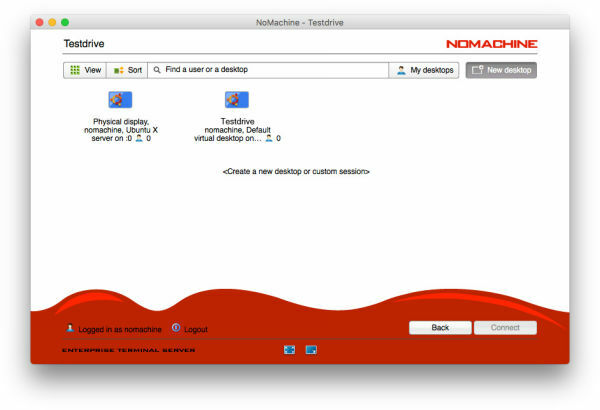 By creating a new desktop or custom session, NoMachine server will publish the options available (Fig. 6) according to what is running on the remote server host. TIP:If you want to run a ‘single application’ or access an application in ‘rootless mode’, select Create a new custom session. Congratulations! You are now connected to a virtual Ubuntu desktop.